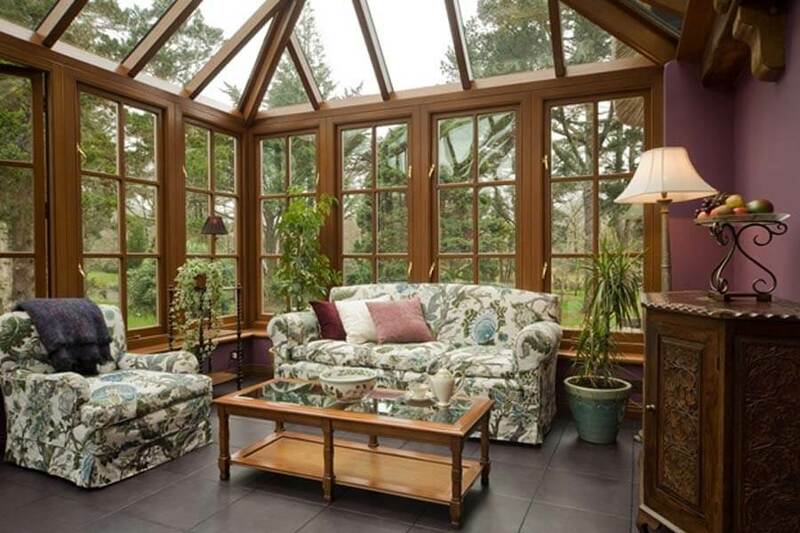 Step down from the kitchen into the magnificent double-glazed timber Conservatory, perfect for breakfast or a pre-dinner drink. From here you can truly appreciate your island setting with spectacular views along the river and across the wooded hills, whatever the weather. The conservatory has under-floor heating for year-round use and consists of an additional dining space, with hand-carved Kashmiri furniture; as well as a comfortable seating area. We have found that many of our guests spend much of their time in this part of the house. Double doors lead from the conservatory to the outside stone Patio, which overlooks the river. The Patio is equipped with a hardwood furniture set, sun loungers and a gas barbeque, perfect for long summer days and evenings – and ‘al fresco’ dining.